I grew up in Newfoundland so I know a thing or too about long winters. My grandmother had tricks to capture the taste of summer. We would visit U-pick farms and select the best berries. Blueberry season came first in late June and early July. Strawberry season was best in late July to mid August because our summers took a little longer to heat up enough to bloom the sweetest, juiciest berries. Our fresh picked berries would be eaten fresh, in pies or muffins, boiled into jellies, or frozen to use later on in muffins and cottage pudding. These early childhood memories of making fridge jellies in late summer, enough to last the long season ahead, offered us a taste of summer to lift the dark January mood. 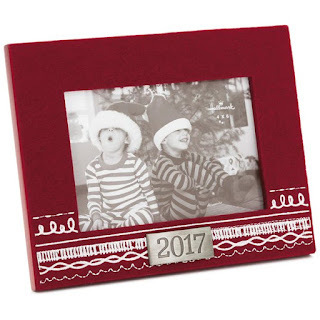 Even though some berries are available year round in the super markets now, the prices jump a bit in the cold months. 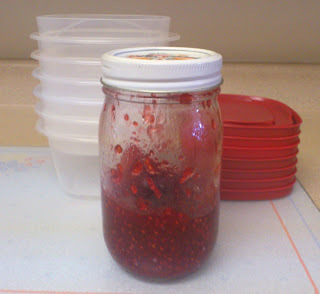 Preserving berries in the freezer is very easy. 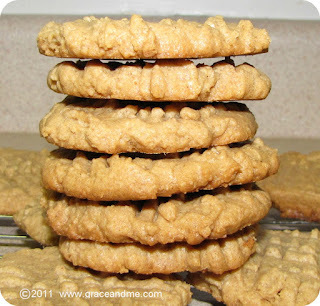 I do it every year and follow some of the same traditional recipes my grandmother used. 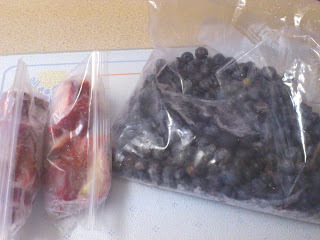 Freezing them a little before packaging helps keep them from sticking together and I scoop the berries out of the freezer bag as needed. Frozen berries can be stored in the freezer for 3-4 months without losing their flavour. 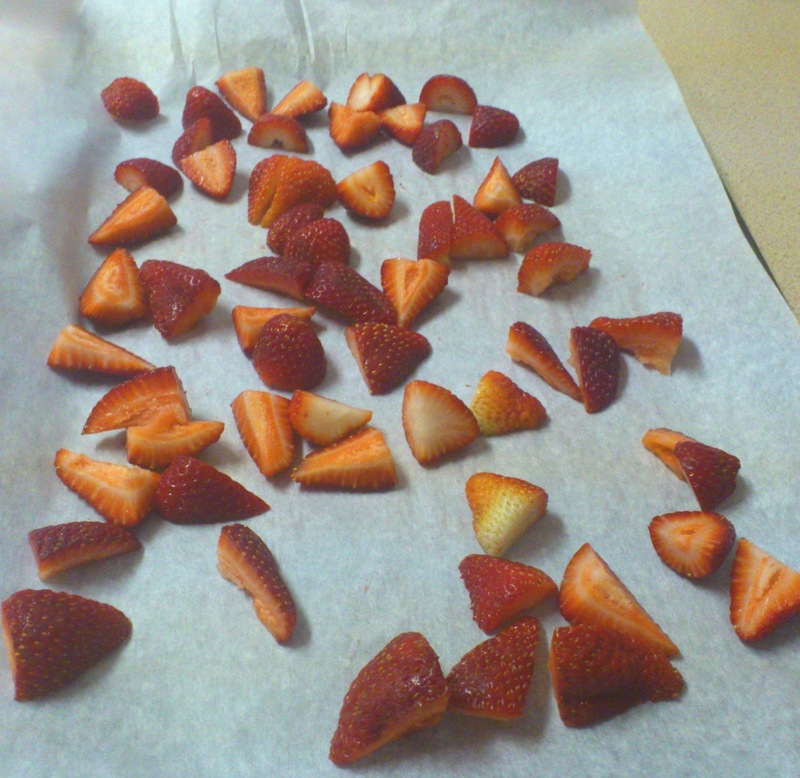 Lay them in a single layer on a parchment paper lined tray. 1/4 cup baggies to use in smoothies. 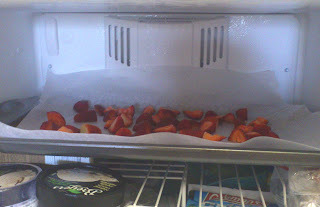 Use fresh or frozen strawberries. 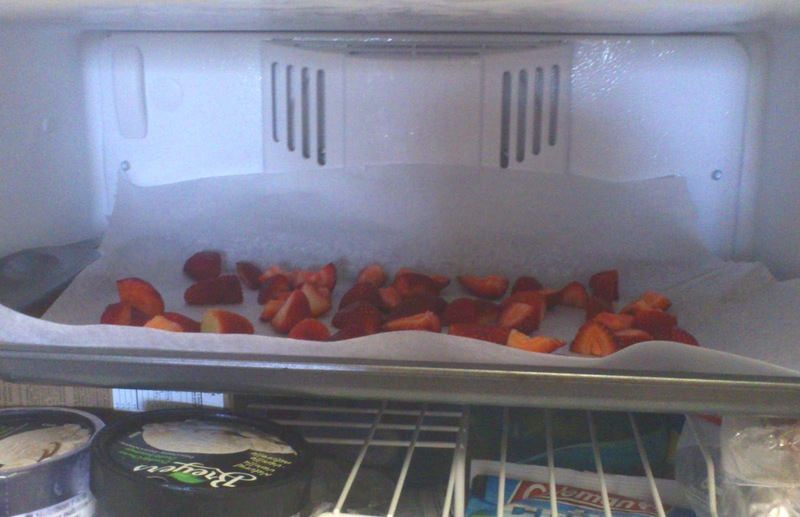 Measure strawberries and juice/water into a slow cooker. Cook on low for 4-5 hours, or High for 2-3. 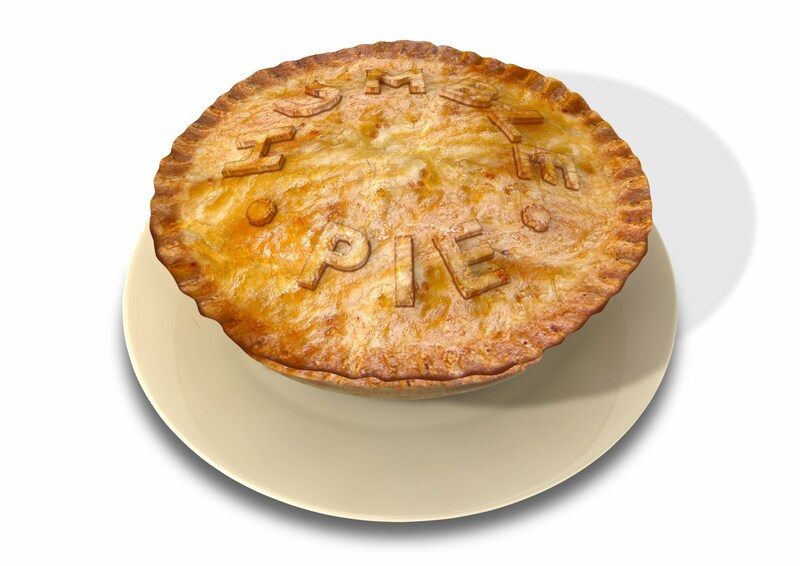 I like mine with a little more texture so cook it for less. When cooked to desired texture, dissolve the instant gelatin in hot water. Pour into strawberry and cranberry juice mixture and stir well. Pour Strawberry Jelly mixture into clean jars or plastic containers with tight lids. Substitute strawberries for raspberries and use raspberry flavoured instant gelatin powder. I use "sugar free" gelatin powder and get the same results for a reduced calorie option. Omit the cranberry juice and use water instead. 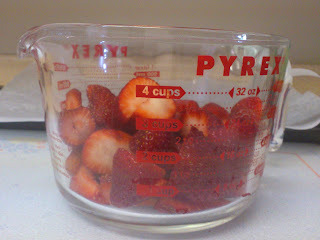 Sprinkle 2 tablespoons of sugar into the strawberry and water mixture while slow cooking. Spruce up the jelly with orange zest. For more great BERRY recipes visit Life Made Delicious!